"Soda Farls and Redemption Songs" - buy it today! 11. What Would the Profit Be? BUY THE CD: the CD is available for £10 from Ards Evangelical Bookshop, Faith Mission Bookshops, Albert McAuley's (Ballymoney) and Bert McCormick's (Ballyclare). 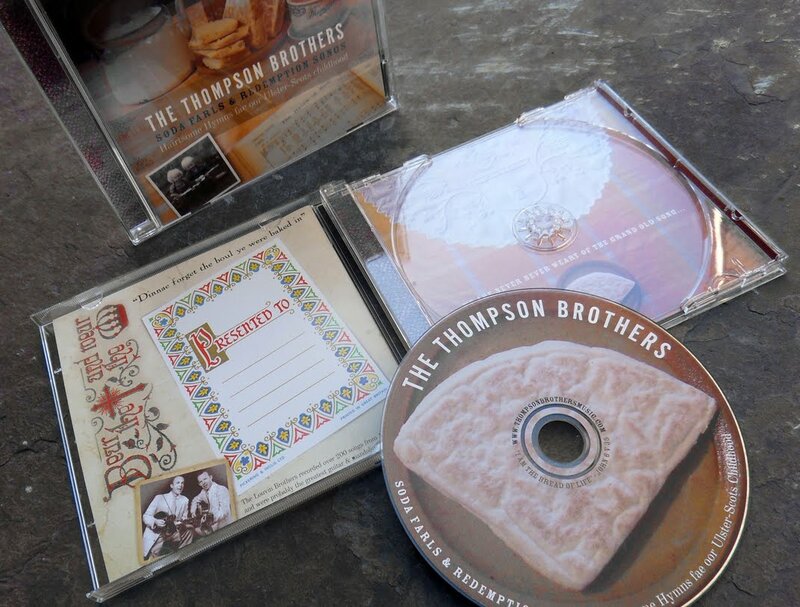 BUY DIRECT: Yu can buy the CD from us for £10, by post (plus £1 p&p within UK and RoI), or anywhere we're playing. BUY / DOWNLOAD FROM ITUNES: Click here buy from the iTunes store, where you can get all 16 tracks for just £7.99!